Nope – not referring to my niece’s chocolates (although those are AMAZING, too . .. www.chocolatefandango,com) . . but to papercraft lusciousness! 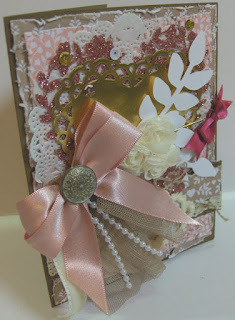 Just look at the stunning Valentine card I got from my sweet friend Jilli!! Isn’t it simply wonderful!!?? She surprised me with this early card . . . my first Valentine of 2016 . .. and I absolutely LOVE it!! Friends who just “get you” are one of God’s greatest and most special gifts!! Thank you my friend!